For decades Captain America has been a symbol of Americana, defending the United States from all enemies, foreign and domestic. Though in recent times, Marvel Comics’ treatment of Captain America has been, in a word, underwhelming. Marvel recently launched a new Captain America series with Ta-Nehisi Coates on writing duties and Leinil Yu on art. We are already seeing the foundation of the same Cap tropes. More often than not Cap has been written as an espionage book. Just no! He is not a spy. He is a soldier — an Army Super Soldier! And one thing Captain America is to do as a soldier is to LEAD other soldiers and military personnel. We’ve seen him leading Avengers but not any special operators. We’ve also seen Cap working alone or in a two-man tandem, but despite the U.S. Army’s former slogan, “Army of One”, the Army puts a premium on teamwork. Let’s see Captain America leading a military team. Portray him as the military leader he has always been touted to be. It is time for the very embodiment of Old Glory and Apple Pie to return to prominence as the premier military warrior the comics world has ever seen. 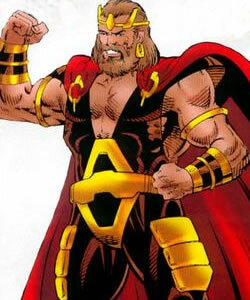 Surrogates wearing the mantle of Captain America have never cut it. Neither Sam Wilson (the Falcon), Bucky Barnes (Winter Soldier), nor any other stand-in has ever captured the essence of the character. There is also the obvious question. Captain America is in the Army. Neither Sam nor Bucky ever held any authority in the Army, so how were they “captains”, actually? Bucky was a mascot and held no rank in the early days. Come to think of it, when Steve Rogers first enlisted, he was a private through boot camp, graduating boot camp a private first class (PFC). At the time he was administered the Super Soldier Serum (SSS) at age 20 (born July 4th, 1920, given the SSS in March 1941) becoming the Sentinel of Liberty, he was still only a private as he hadn’t yet been through boot camp. Was he Commissioned as an Officer after boot camp instead of remaining a PFC, making him a Captain (Officer-3)? Was “Captain” just a title but he really held the rank of an Enlisted soldier? Could he actually command anyone in combat based on his rank as an O-3 Captain? As a soldier, Cap certainly doesn’t command any civilians. There are lots of unanswered questions surrounding Cap, and now in this new series, it’s as good a time as any to start answering them, restoring Cap to his rightful and honorable place as the Star-Spangled Man. In any event, Marvel has a real opportunity to move the character into the present and future while addressing past issues. In the real world, the United States has been prosecuting the Global War on Terror (GWOT) and Special Operations Forces (SOF) have borne the brunt of the load against agents of anarchy in asymmetrical warfare. For all intents and purposes, Cap is the ultimate SOF operator. United States Army units like the 1st Special Forces Operational Detachment-Delta (1st SFOD-D), commonly referred to as Delta Force, Combat Applications Group (CAG), “The Unit”, Army Compartmented Element (ACE), or within Joint Special Operations Command (JSOC) as Task Force Green, have been deployed as the Tip of the Spear. Delta is an elite special mission unit of the Army, under operational control (OPCON) of the JSOC. The unit is tasked with specialized missions primarily involving hostage rescue and counter-terrorism, as well as direct action and special reconnaissance against high-value targets (HVT). In the real world, Captain America should be leading this type of team to protect U.S. interests, specifically abroad. After all, the Posse Comitatus Act (PCA) still applies. Posse is a United States federal law (18 U.S.C. § 1385, original at 20 Stat. 152) signed on June 18th, 1878 by President Rutherford B. Hayes. The purpose and intent of the PCA is to limit the powers of the federal government in using federal military personnel to enforce domestic policies within the United States. (That’s why there is a National Guard, which does have the authority to act domestically at the direction of a state governor.) The PCA was passed as an amendment to an army appropriation bill following the end of Reconstruction following THE Civil War, not Marvel’s Civil War. This again begs the question: under what legal authority does Cap operate as a military member to act domestically? Despite the PCA, Coates has Cap fighting Nukes (illegally) on the National Mall in Washington, DC. 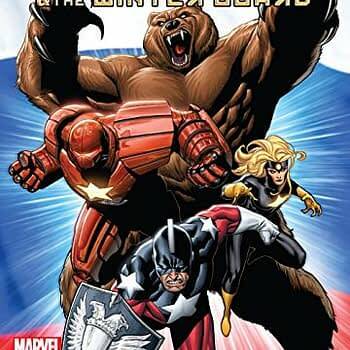 In 2014, then-Marvel writer Nathan Edmondson introduced an updated version of the famed Howling Commandos in Punisher Vol. 10 #1. In this incarnation, the Howling Commandos are a Delta Force C Squadron F-Team. Imagine Cap leading this team during mission sets to rescue hostages and take down terrorists like Flag-Smasher and U.L.T.I.M.A.T.U.M., Taskmaster, Crossbones, Hydra, and Faysal Al-Tariq, among others. 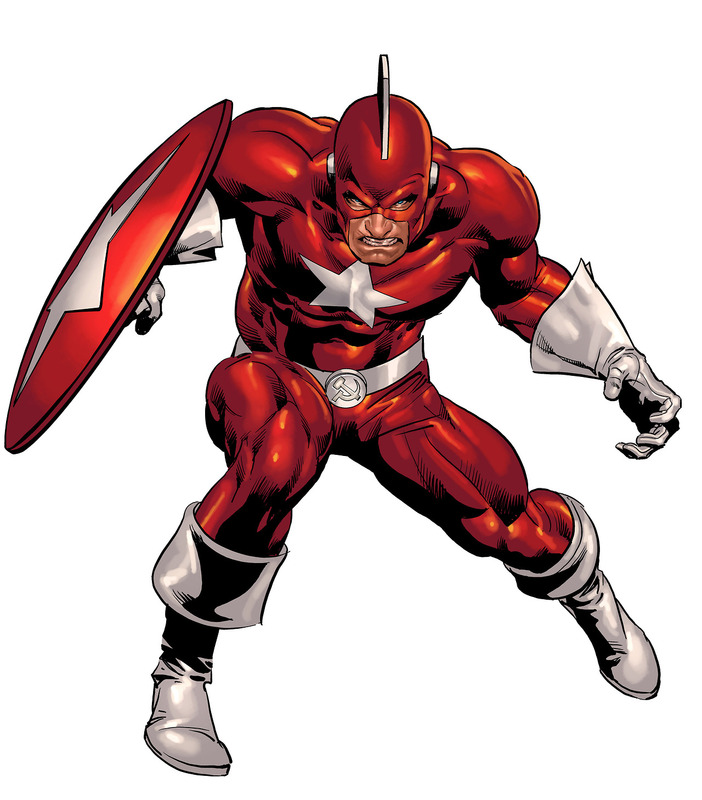 Let’s not forget about nation state actors fighting under a flag, like Crimson Dynamo, Titanium Man, Omega Red, and other Soviet Super Soldiers like Ursa Major, Vanguard, Darkstar, Gremlin, and Prof. Piotr Phobos, or the Supreme Soviets/People’s Protectorate like Red Guardian, Sputnik, Perun, and Fantasia, operating under a Russian Federation banner. What about the Iraqi superhuman military team which includes Aminedi, Black Raazer, Sirocco, and Veil? Or the Mandarin from China? 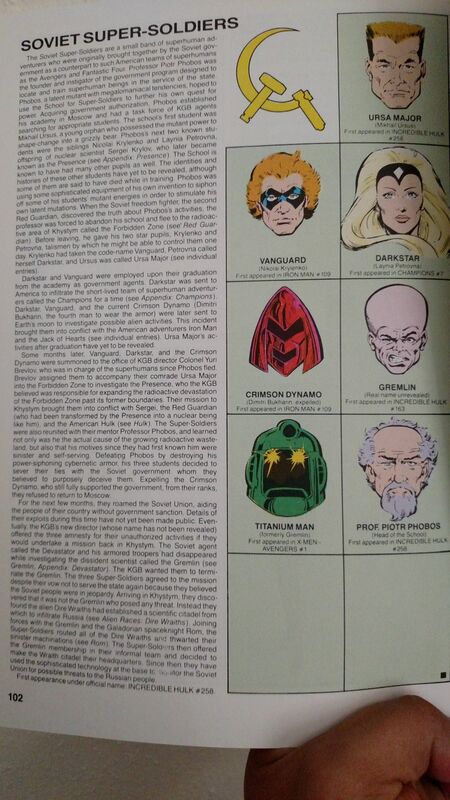 Considering everything happening in the news with U.S. and Russian/China/Iran tensions, injecting these types characters into a Cap and Howlers rogues’ gallery is a perfect fit. Instead of pushing some ham-handed domestic political agenda, why not raise issues like what is a legal military action in accordance with the Law of Armed Conflict (LOAC), how would Cap and the Howlers be affected by the Geneva Conventions in handling enemy combatants, terrorists or otherwise, or what constitutes a legal military kill in accordance with Rules of Engagement (ROE) and Use of Force? 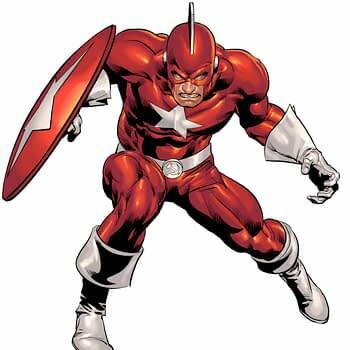 Have Cap lead the Howlers on actionable intelligence that leads to direct action missions against superhuman villains, terrorists, global anarchists, and nation states. Despite these legal and military challenges, there is still a place for Cap’s “Lincolnesque optimism”. Even still, soldiers follow orders — political leanings are immaterial. This allows Cap and the Howlers to deal with issues like team members having PTSD, balancing home life with being on missions, long deployments, the difference between law enforcement and military action/intervention, even suicide, which claims the life of 22 service members a day, on average. The most obvious threat to the U.S. are rogue nations (think North Korea). One fictional Marvel nation and its despotic leader come to mind… Latveria and its monarch, Dr. Victor Von Doom. Who knows what weapons of mass destruction (WMD) systems Dr. Doom has authorized or is experimenting with currently? 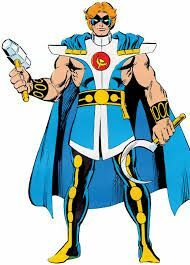 Dr. Doom has had a long history of trying to destabilize global geo-politics for over half-century in furtherance of his goals to rule the world. What new plot is he hatching? What new version of the Doombots is Latervia rolling out? Are American citizens (AMCIT) posted as diplomats at the U.S. Embassy in Doomstadt safe? Now let’s talk about allies. 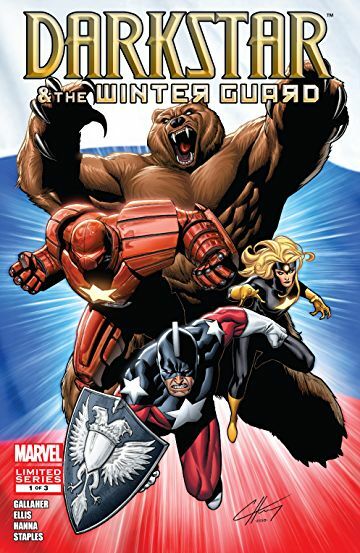 Winter Soldier was programmed to be a Soviet assassin for Department X in Russia. Heck, he still bears the Russian star on his bionic arm. (Shouldn’t that paint job be changed by now?) Now, Cap just works side by side with him with no vetting from the U.S. government to ensure his allegiance to Uncle Sam. Um, something smells in suburbia. It seems like it would make more sense for Cap to partner with the Commandos instead of Winter Soldier on capture/kill missions or hostage rescues. This approach to alliances also opens the door to partnerships with allied or partner nations like the United Kingdom, Australia, Canada, and New Zealand. 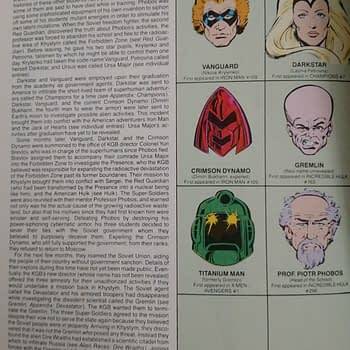 Picture Cap and the Howlers working alongside Union Jack, Captain Britain, and Canada’s Guardian and Alpha Flight, among others. This makes way more sense than Cap working alongside a former Russian operative. This would be like Delta Force working with Canadian Joint Task Force Two, British Special Air Service (SAS), Australian SAS, and New Zealand special forces. All allies in the real world. Imagine, if you will, a fictional Tears of the Sun-style storyline of Operation Charging Star (shoutout to Marvel vs. CAPCOM! ), where the wife of Mr. Dickerson (first appearing in Amazing Spider-Man #530, 2006), Chairman of the Metahuman Investigations Committee, needs to be rescued. Turmoil erupts in the fictional Marvel African country of Nambia following a military coup d’etat supported by Man-Ape and the White Wolf, which involves the brutal murders of the president and his family. As foreign nationals are evacuated from the African country, Captain America and the Howling Commandos with team members Sidewinder, Myers, Ruby Red, and others are dispatched by their commanding officer, likely a Colonel (O-6) from a staging base in Wakanda that King T’Challa has authorized, to extract a “critical persona,” one Dr. Dickerson, U.S. Senator Dickerson’s wife. Dr. Dickerson is working in Nambia in a Doctors Without Borders-type non-governmental organization (NGO). It’s up to Captain America and the Howling Commandos to secure the package and take down the White Wolf and Man-Ape before they continue fomenting discord across Africa, destabilizing the region. Why can’t Marvel field these types of stories using the very rich bench of supporting villains and characters across the globe and not just in the U.S.? Sure, Coates has Cap on a mission to Russia with a former Russian operative, but this seems like a mail-in storyline. There are so many interesting missions for Cap and the Howlers to execute that could be so much more compelling with more gravitas. The writer doesn’t seem to understand the military or geo-politics; he seems more concerned with some domestic message about America, rather than U.S. global standing. C.B. Cebulski, as the new Editor-in-Chief at the House of Ideas, can really shift Marvel toward an aspect of comics where Marvel has rarely delved, quasi-realistic military-themed action with Cap and the Howlers at the core and superheroes and supervillains in the mix. These stories can then follow our heroes along the ride and during the fallout after the missions and how this affects their personal lives. This lends itself well to real character studies instead of just cramming in action set pieces. Moreover, it’s been a really long time since Marvel has really explored Steve Rogers’s personal life to any significant depth. He hasn’t had a new significant girlfriend since Sharon Carter. Isn’t it about time Marvel explores that part of the man that is Steven Grant Rogers? The current Cap is one-dimensional. Weaving in a new female love interest might give him something worth fighting for beyond just the Stars and Stripes. It’s one thing to fight for love of country, but what about fighting for love of family or relationships? In the end, aren’t the people what makes the country? Cap is more often than not seen brooding in recent comics. Cap is the ultimate SOF “cool guy” — they love the ‘Murica, love women, love family, and they fight for what they love, unapologetically. Cap seems like he has no love in any part of his life. I’d brood too… Cap is increasingly being written as a reluctant hero and not at all enthusiastic about being a soldier, which flies in the face of the smiling soldier we’ve all grown to love since 1941 Timely Comics.